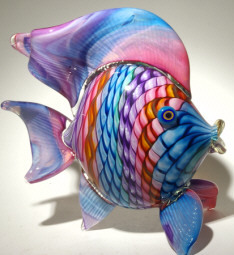 Rina Fehrensen is a native Californian with family roots in Germany. 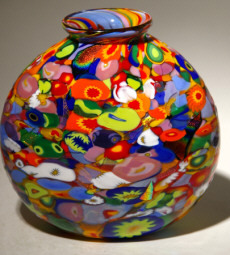 She has always had a strong interest in art and studied Visual Arts at the University of California, San Diego. 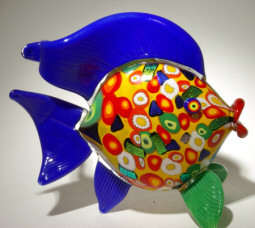 It was here at UCSD she met her husband, Michael Maddy who collaborates with her on several of her pieces. 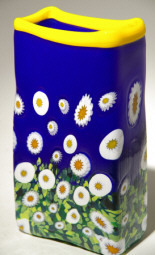 She also studied at University of Madrid in 1986. 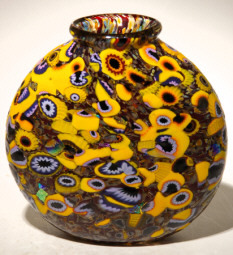 Her interest in glassblowing stems from a visit she made to the glass factories on the island of Murano, Italy in 1989 while on a trip around the world. 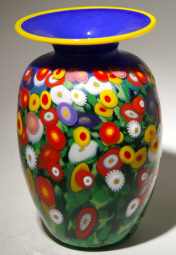 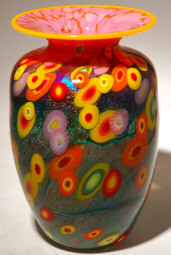 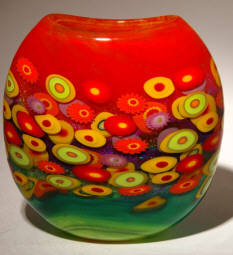 On her return to the United States she studied glassblowing at Palomar College. 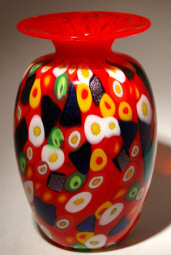 Since that time she has continued her studies at the Pilchuck Glass School in Stanwood, WA, the Bildwerk School of Glass in Germany and studied with the Italian master, Lino Tagliapietra at the Haystack School of Crafts in Maine. 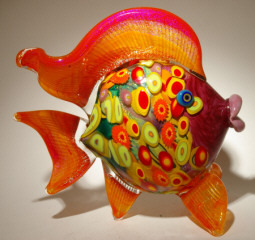 Fehrensen is best known for her use of color and often times whimsical themes she incorporates in to her pieces. 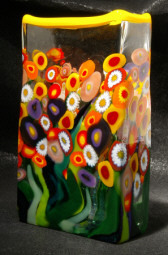 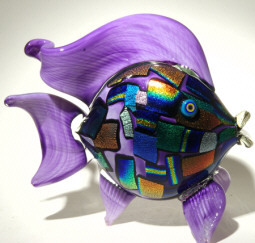 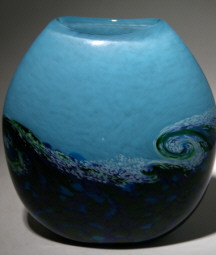 Given the quality and detail in most of her glass pieces, her work has strong value within an affordable range. 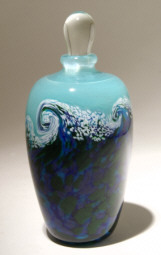 She has participated in numerous exhibits and has won several awards for her work including a Visual Arts grant in 1987 for the UCSD undergraduate Arts Festival and 1st place in the Southern California Glass Art Exhibition.